The Congress of the UITIC will return to Portugal, after Porto has hosted the event in 1996, which was attended by 520 footwear experts, of which 300 came from other countries. With 1 430 companies and more than 37 700 employees at its service, Portugal is one of the key players of the worldwide footwear industry. 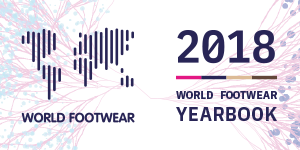 2014 was the fifth consecutive year with footwear exports growth, and since 2009 sales abroad have already increased by 50%. As a result, Portuguese footwear is already exported to more than 150 markets located in the 5 continents. In recent years, the Portuguese footwear industry specialized in quick response and small series, taking these features as key elements of its strategic development. The work done in partnership with the Portuguese Footwear Technological Centre (CTCP) and with a network of more than 50 partners, including universities, companies and organizations from the scientific and technological system, promoted the development of more than 100 new equipment "made in Portugal”, making the country an exporter of high technology for the worldwide footwear industry. With an aim to strengthen this position and consolidate its status as a developer of new technical solutions, technology and new materials, the Portuguese footwear industry will invest 50 million euros over the next five years in a wider innovation and modernisation program. Date, local and the theme of the Congress are to be announced at a later stage. International speakers and visits to local factories will be the highlights of the event. The XIX edition of the UITIC Congress is currently being hosted by the Council for Leather Exports (CLE) in Chennai (India). Brands, footwear manufacturers and experts are gathered in India to discuss the Future of the Footwear Factory as well as the relevant innovations in the footwear industry. In this most recent edition of the Congress 500 international footwear specialists, representing 27 countries, gathered in Chennai for 3 days of reflections and networking. Previous editions took place in Guangzhou (China) in 2013, Léon (Mexico) in 2010 and Elche (Spain) in 2008 and focused on varied themes such as Social Responsibility, the Advantages of technology for footwear trading and production processes and the Changes driven by footwear production globalisation and delocalisation. The International Union of Shoe Industry Technicians is an organisation aiming at developing technical knowledge in the footwear industry, in particular by delivering international conferences on a regular basis and by taking the initiative in setting up information exchanges between its members, exclusively in the field of technology. 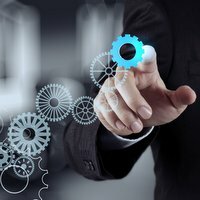 UITIC's most visible activity is the Congress, an International Technical Conference which covers the latest technical issues impacting the industry and covering topics such as: automatic sewing, computerised management, new materials, quality, training and design.